Two bits of feather fluff for my nest! I made these covers with the help of this great tutorial the other night and was pleasantly surprised at how quickly and easily they came together. My sewing level is just below novice so I'm sure you could whip them up in 5-10 minutes flat. Basically it's just a mini fitted sheet, obviously. Also, I finally had to put my Goodwill changing table search to a rest and upgrade to a Craigslist purchase...but am pretty pleased with the fancy dresser/table combonita we found. And now I'm sure the baby knows that he/she is welcome to come on out...right now. Very cute! I love that yellow print! How in the world are all your books still in pristine condition? Our Goodnight Moon is covered in bite marks and the spine is pretty much split in half. I guess that's the difference b/w little boys and little J's. Those are awesome! 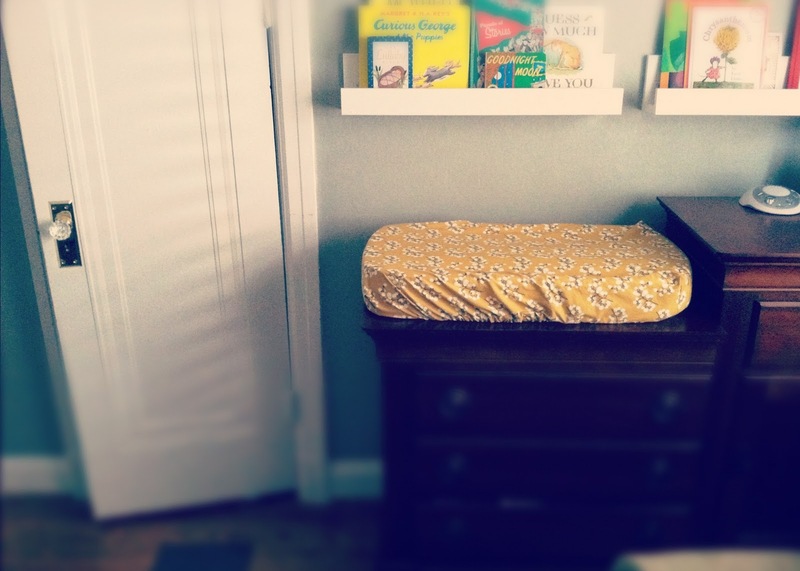 My changing table still needs a cover. I got completely lucky with a goodwill changer that was nice, but your craigslist one is really nice! Yay, they came out so cute! And I love the book shelves...did you make those? I really like them!! very classic looking. Oooooh, Ahhh! You are so clever and organized! I love the book ledges. That baby better come out soon before Julia moves in to the fancy room. So cute! And your sewing skills are definitely NOT novice. Hello Miss "I can turn even a pillowcase into gorgeous top with my magic sewing machine." The book shelves are darling too! Nice sewing! 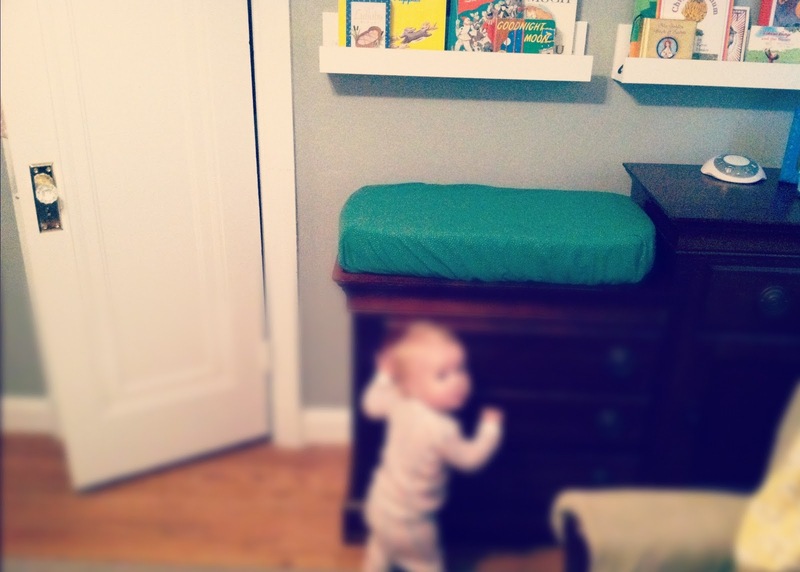 And my changing table consists of the floor and wherever I can get a kid to lay down.